Fiat brand has introduced the new Fiat 500 1957 Edition Cabrio. features a premium dual-layer power-operated cloth top - a contemporary solution to the famous canvas roof on the original Cinquecento - designed to deliver all-season driving pleasure with the top up or down. "We continue to expand the Fiat lineup," said Jason Stoicevich, Head, Fiat, North America. "The Fiat 500 1957 Edition celebrates the spirit of the original 1957 Nuova 500, and with the arrival of a cabrio version, we are adding open-air fun to the iconic Italian-designed Fiat 500 1957 Edition." Pricing for the well-equipped limited-production model starts at US$ 24,700 MSRP, just US$ 1,900 more than a base Fiat 500c Lounge. 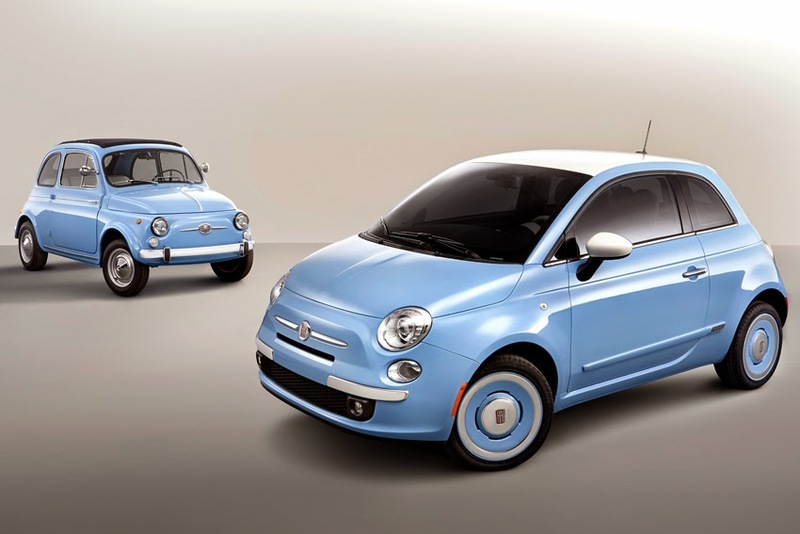 The Fiat 500c 1957 Edition is available for orders now and will arrive at studios this spring. Now available as either a hatchback or a cabrio, the 2015 Fiat 500 1957 Edition includes a sport-tuned suspension for improved handling, 16-inch forged aluminum wheels with a retro body-color design, throwback 'Fiat' badging and a premium marrone (brown) and avorio (ivory) leather interior. The model is available in three classic exterior colors - bianco (white), verde chiaro (light green) and exclusive celeste (celestial blue).